As Chief Technology Officer of 20th Century Fox, Hanno Basse is at the nexus of Film, Tech and Hollywood. In this wide ranging interview, Hanno discusses how new innovations are changing the now and future of a studio; from green-lighting and the production process to distribution and direct-to-consumer strategies. 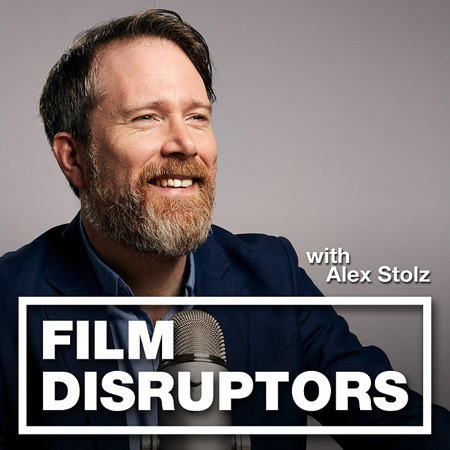 Due to the sheer wealth of information in the interview, this episode is split in two with Part One broadly focusing on production and Part Two on distribution. Hanno Basse, chief technology officer (CTO) at 20th Century Fox Film Corp., oversees technology strategy and engineering, including home entertainment, theatrical distribution, and postproduction. At Fox, Hanno and his team of engineers are developing new distribution methods, are working on next generation entertainment technologies like High Dynamic Range and Ultra-HD as well as Virtual/Augmented Reality, and are involved with many other initiatives, including Content Protection, Immersive Audio etc. He earlier spent more than 14 years at DIRECTV, ultimately as senior vice president of broadcast systems engineering, with accomplishments including the 2005 successful launch of the largest HD channel rollout at that time and the 2009 implementation of DIRECTV’s video-on-demand infrastructure. Hanno began his career in 1991 as a scientist-engineer at the Institut für Rundfunktechnik (IRT) in Munich, Germany, and worked as a systems engineer at ProSieben Media AG, also in Germany. From 2015 – 2017, Hanno served as the first president and chairman of the board of the UHD Alliance. He is currently chairman of the board of directors of the Entertainment Technology Center at the University of Southern California. Hanno is also a member of the board of directors of the Advanced Imaging Society. He has been awarded 26 patents and was named a Fellow of the Society of Motion Picture and Television Engineers in 2014.